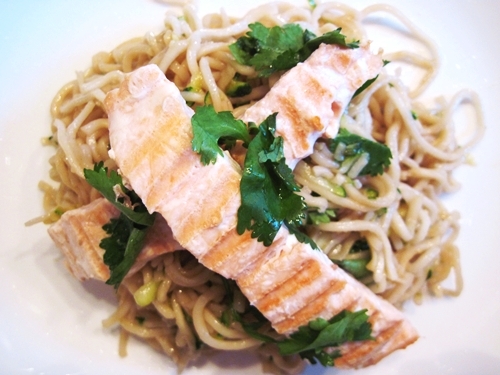 This entry was posted in Asian, fish, pasta and tagged basil, cilantro, honey, mint, salmon, soy sauce, zucchini. Bookmark the permalink. Your blog is almost a year old! Happy birthday! Glad you’re able to go to Salzburg. It’s a fun place. Be sure to try Mozart balls…you’ll see them in the shops there and they are good (chocolate)! This salmon recipe sounds good.